It's here! 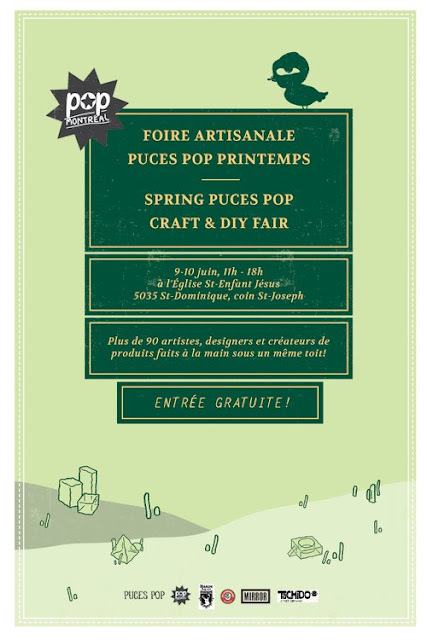 Puces Pop craft fair starts today! Click HERE to see the full list of vendors, including yours truly. If you are in the neighbourhood, please drop by! Hope to see you there!